Accommodations in centrally-located three-star or four-star hotels. Rooming on a triple basis. Double rooms: $280 per person. Round-trip transportation on scheduled airline. Deluxe touring motorcoach. There's an exciting ride aboard a high-tech TGV train, which will whisk you away through the hills of Burgundy. Your destination: Switzerland and the lakeside city of Lausanne, on the shores of Lac Léman. The reflection of the French Alps in the lake's dark blue waters is a sight not soon forgotten. The International Olympic Committee is headquartered in Lausanne's lakeside district of Ouchy. You may want to visit the Olympic Museum, which retraces more than 2,200 years of sports history, from the games of the ancient Greeks through to the modern revival of the Olympic Games in 1896 to our time. Don't miss the park to view its landscaped grounds and sport-related statuary. Walk along the shop-lined streets around the cathedral, which is Switzerland's finest Gothic building. Time to explore your surroundings today on a magnificent drive through lakeland, monuments and mountains. Enjoy a sightseeing stop in the glamorous heart of the Vaud Riviera , the lakeside resort of Montreux, famous for its annual jazz festival. 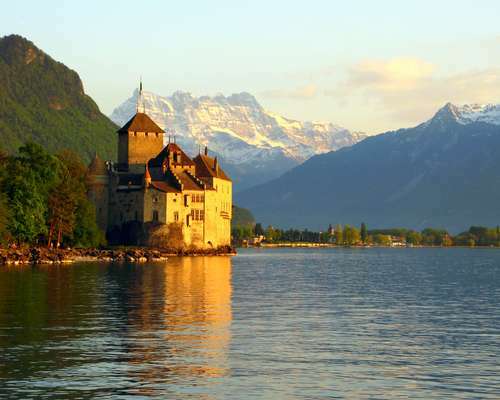 Visit the romantic castle of Chillon, which so moved Lord Byron. Notice the poet's initials carved into the rock walls of the dungeon. A guide will accompany you on your Chillon Castle visit. Travel up into the mountains to the town of Gruyères, which stands high on a rocky crag, its Renaissance houses and single main street nestled within ramparts. Learn all about Switzerland's most famous cheese at the visitor center that showcases its history and production via an interactive exhibition and demonstrations. Watch cheesemakers at work: about 800 liters of milk (210 gallons) are used to make a wheel of genuine Gruyère cheese weighing 176 pounds. And it will be confirmed that a genuine Swiss Gruyère cheese has no holes! On to the international capital of Geneva. Calvinism, Jean-Jacques Rousseau and the International Red Cross were all born in Genève. 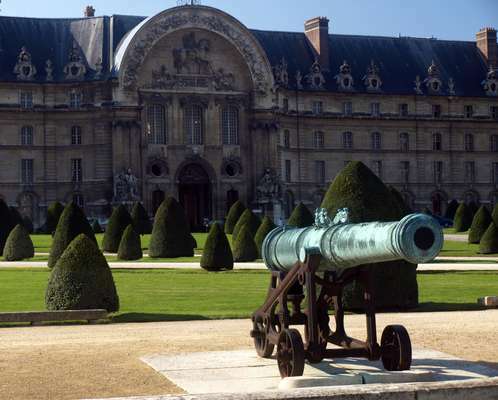 City landmarks include the Reformation Monument, the Palais des Nations, la Cathédrale Saint-Pierre (where visitors can still view Calvin's seat) and the city's famous Jet d'eau - the tallest fountain in Europe at 460 feet. Travel on in the footsteps of Napoleon (but in the opposite direction) as you journey south through the splendid Alpine landscapes of the Savoie and Dauphiné provinces. Proceed across the southern Alps along la Route Napoléon, which the Emperor followed on his short-lived thriumphal return from exile. He had landed in March 1815 near Nice and made his way via Grasse, Castellane, Digne, Sisteron, and Gap to Grenoble and from there to Paris, to be in control of France for another 100 days before his final exit at the battle of Waterloo. Free from such concerns, you'll admire the beauty of the landscape, noticing along the way kilometer markers bearing the Imperial Eagle and all sorts of Napoléon-related advertisements. Wend your way to Grasse as glorious Mediterranean vistas begin to open up. Visit the Fragonard factory to see the process of distillation, absorption and extraction of perfume essences. Hear about the esoteric artistry of the "nez." Discover a village celebrated for its high-perched setting typical of the fortified towns that once guarded the kingdom of Provence. 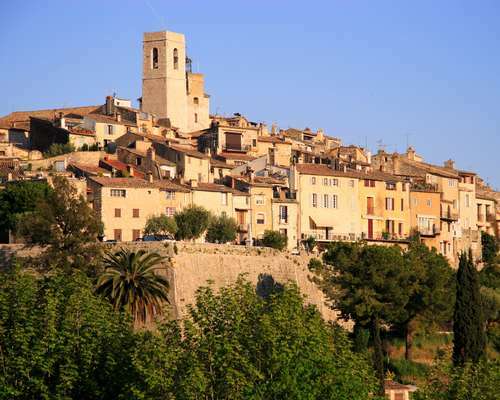 Saint-Paul-de-Vence can boast about its nearly intact medieval ramparts and its famous resident artists, such as Modigliani, Bonnard, Chagall, and the American writer James Baldwin, who died in St. Paul in 1987. Continue to the capital of the French Riviera. 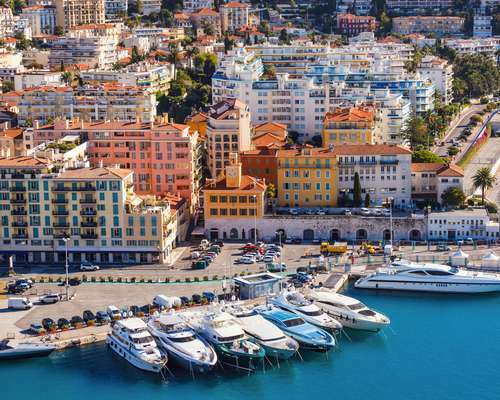 You've heard of the Côte d'Azur, celebrated for its sunny climate, the turquoise Mediterranean and the vedettes de cinéma who inhabit the surrounding hills. Now you're there! Enjoy some free time in Nice today. Of course, in Nice there's the famous crescent of the beach: as all beaches in this region it may be a touch pebbly, but the deep blue water looks great! 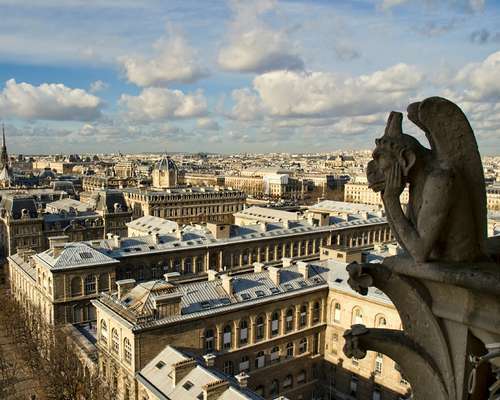 Art lovers may want to visit the colorful Musée Matisse or the Musée Chagall, the latter highlighting one of the artist's major works, Le Message Biblique. Stroll along the Promenade des Anglais, said to be Europe's most handsome boulevard (see the luxury yachts from the world over). Le retour, hélas... Your plane awaits. This time the earth rotates towards you, allowing an arrival in the U.S. only shortly after you left Europe! You're eager to share your adventures with family and friends.